To the seasoned business traveller a French speech or a presentation in a foreign city might count as a normal activity. But giving that speech or presentation in another city’s language might prove more of a challenge…for most of us. And so it is for a Duchess. The Duchess in question is the Duchess of Cornwall who’s planning to give a speech in Paris in her non-native French. She’s due to speak at an event for the charity Emmaus UK that assists former homeless people to rebuild their lives. In her audience will be members of an Emmaus community in Bougival on the outskirts of Paris. This, perhaps, is another sign of Royal speeches from other members of the family. As if giving a French speech wasn’t bad enough for the Duchess, she’s also travelling without the Prince of Wales. He’s elsewhere in Germany and Armenia this week. 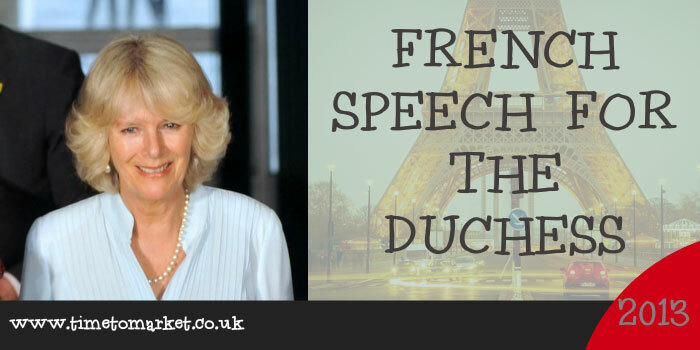 When she travelled to Paris on the Eurostar the Duchess noted that she was dreading have to give a French speech. I haven’t spoken French since I was 16 and I wouldn’t even say it was basic. disguise it. I will give you all signs to hold up too. They have somehow persuaded me to give a speech in French. It has taken years off me, I can tell you. Has the speech rejuvenated the Duchess or has it taken its toll? Given her light-hearted remarks you’d suspect that the whole French public speaking thing has actually been beneficial. Rising to the challenge she’s been reminded of the language of her Swiss finishing school and the six months she spent in Paris when she was 16 and studied French and French Literature at the British Institute. Her public speaking track record suggests that she’s already proved herself more than competent when it comes to her role as a speaker at official functions. A Duchess of Cornwall speech is definitely an agenda item. So, a speech in French should present no problem. 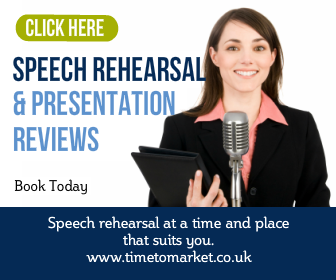 You can always prepare for your next French speech, or English speech with a public speaking coaching session. 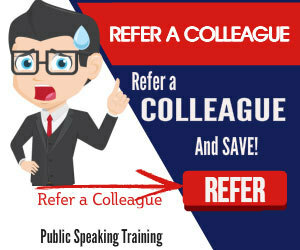 Each one-day session aims to give you the skills and techniques you need for public speaking success. Please don’t hesitate to call for more details.